You can blame in on the weather, but donations for Cannon County's Angel Tree program are down so far this year.. Gifts are due back Dec. 14. 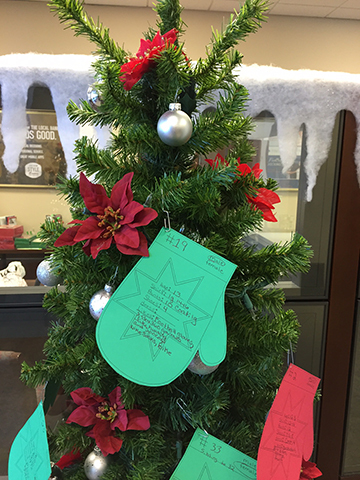 There are a number of ways you can help: Pick a child's information off a tree located at the Courthouse, all three banks and the Dollar Market; buy a new toy for gifting or donate money. Any of those will go for a good cause. "With people out of work and single moms trying to make ends meet, the need is even greater this year," said Lisa Baird, S.A.V.E. program director. If you don't have time to shop, donations are encouraged.